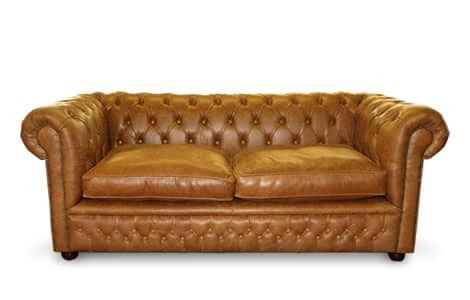 Quintessentially British, the leather Kensington Traditional Sofa offers timeless sophistication. This sofa comes with fibre cushions, rather than the conventional foam, and its overall dimensions are slightly larger than our standard Chesterfield making it an incredibly comfortable and sumptuous addition to your seating area. The Kensington Traditional Sofa is handcrafted and available in a wide range of sizes and colours.